The Filipinas Copyright Licensing Society, Inc. (FILCOLS) signed its first licensing agreement with the government’s Department of Education last 5 December 2012. FILCOLS chair Dr. Isagani R. Cruz and DepEd secretary Br. 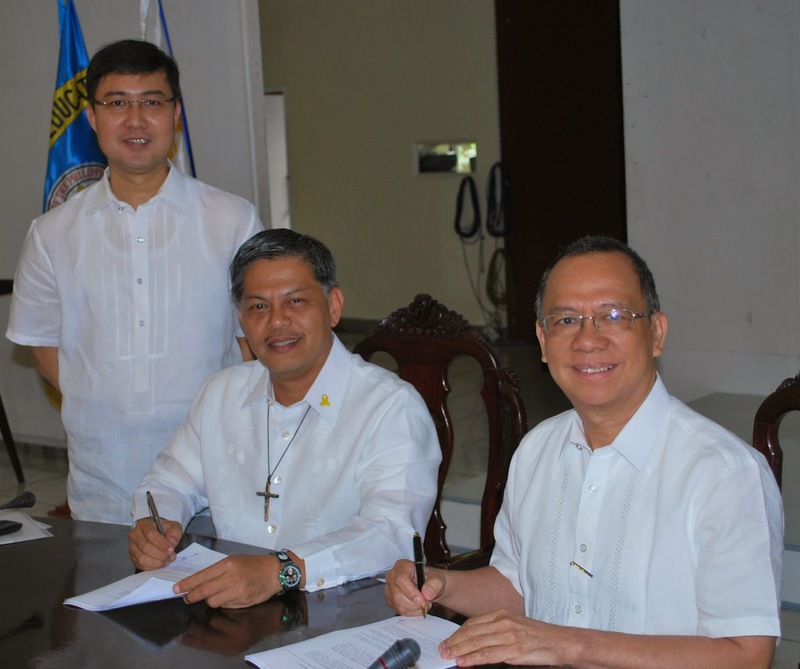 Armin A. Luistro, FSC signed the agreement at the Bulwagan ng Karunungan (Knowledge Hall), DepEd Complex, Pasig City. The Department (Ministry) of Education is the largest bureaucracy in the country with 647,299 employees scattered in 17 regions. These are mainly teachers handling 21.49 million students for the 2012-2013 school year. The enrolees for this school year are 1.73 million in kindergarten, 14 million in elementary, and 5.76 million in secondary. For 2013, the Department of Education has been allocated PHP 292.7 billion (USD 17 billion or EURO 12.6 billion). The education department receives the largest allocation from the government budget. Earlier in May 2012, Br. Armin wrote to Dr. Cruz to tell him that the Department does not have “significant funds” for copyright fees. However, he acknowledged the right of authors to just remuneration for the use of their creations. Prior to his appointment as Education Secretary (Minister), Br. Luistro was the president of the De la Salle University – Manila. He is a member of the Institute of the Brothers of the Christian Schools, a Roman Catholic religious congregation dedicated to provide a human and Christian education. FILCOLS is the Philippine collective management organization (CMO) in the text and image sector incorporated in 2008 as a not for profit organization. The society is a member of the Brussels-based International Federation of Reproduction Rights Organizations (IFRRO) since 2009. FILCOLS was the product of the cooperation among government and rightsholders associations namely National Book Development Board (NBDB), Intellectual Property Office of the Philippines (IP Philippines), Book Development Association of the Philippines (BDAP), and the Unyon ng mga Manunulat sa Pilipinas (UMPIL – Writers’ Union of the Philippines). BDAP initially funded FILCOLS in 2008-2009. BDAP is the country’s largest book industry association and organizer of the annual Manila International Book Fair since 1979. UMPIL is the largest association of Filipino writers. FILCOLS received support, both technical and financial, from various Norwegian rightsholders organizations and from the Norwegian government through the Norwegian Agency for Development Cooperation (NORAD). From 2010-2012, NORAD provided grants for FILCOLS together with Kopinor, the reproduction rights organization (RRO) of Norway; and the Norwegian Copyright Development Association (NORCODE). Cruz was a founding board member of FILCOLS. In 2010, the general membership of FILCOLS elected him chair. He taught at the De la Salle University – Manila for 38 years and also headed its publishing arm. After his retirement from DLSU, he became president of The Manila Times College at the beginning of 2011. The Manila Times College was the first private college licensee of FILCOLS. TMTC signed the agreement last July 30. Witnesses to the FILCOLS-DepEd signing were FILCOLS executive director Alvin J. Buenaventura and IMCS director Socorro A. Pilor. The Instructional Materials Council Secretariat is an office under the Department of Education tasked with developing the learners’ materials and teachers’ guides.